Malwarebytes 3 is a comprehensive security solution that can thoroughly detect and remove most advanced (zero-day) threats (including viruses, Trojans, spyware, adware, and rootkits), that even the most well-known anti-virus and anti-malware applications fail to detect. It can replace antivirus or run alongside other antivirus programs. It features a ultra-fast proactive scanning for malware and spyware in real-time, in addition to flagging potentially unwanted programs and adware. It works by monitoring the system's processes, stopping those which it identifies as malicious before they execute. The program has two scan modes, on is superficial and the other is a deeper, more thorough, scan that will take more time but in return will prove more trustworthy. Grab special deal when subscribing for 2-years! This security tool stops unknown and known ransomware with proprietary next-gen technology that works proactively to shield your files. This is a powerful, complete defense that blocks ransomware, and not a simple decryption tool. Moreover, It will protects you from fake and infected websites, downloading malware, hacking attempts, and infected advertising. 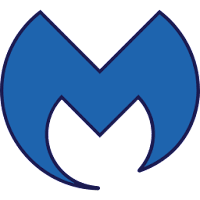 Malwarebytes was formerly known as "Malwarebytes Anti-Malware", now it's combined all their products into one single package which includes Anti-Malware, Anti-Exploit, Anti-Ransomware, Website Protection, and Remediation technologies. Disclaimer: Direct downloads for the lastest version of Malwarebytes 3.7.1.2839 are provided by the official software's author, we can't guarantee safety, availability or download speed. Moreover, we don't and we won't provide any pirated/illegal versions or tools. We recommend you to avoid it as these methods can harm your device. If you like the software, buy it to support the developers. (We provide software discounts for many worldwide brands).